When M/s. Sirur & Company who had Textile Industries, wanted a qualified Manager to start a new Mill in Bangalore, their Bombay Office recommended Mr. William Pinto for the job. 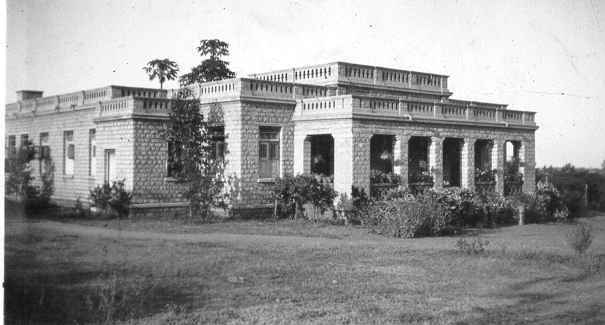 William came to Bangalore in 1925 and supervised the building of Minerva Mills. He was accompanied by his wife Alcina (whom he married in 1910 in Bombay, and were under the guidance of their Spiritual Director a Spanish Jesuit), their two sons Francis and Arnold and daughter Bernadette. They stayed in the Mill quarters behind the Bangalore City Railway Station. They became parishioners of the Immaculate Conception Church for over 20 years. William then added two daughters Christine and Carmel. 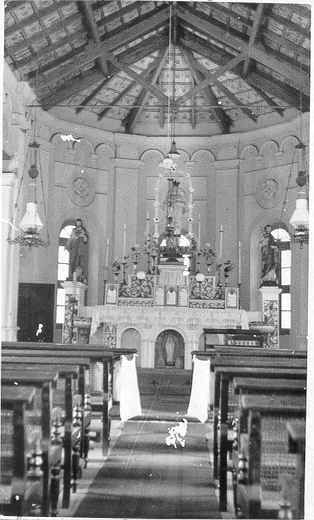 They were Baptised and received their First Holy Communion in this Parish. 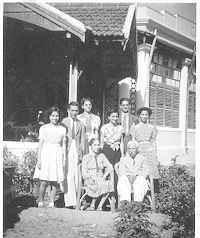 William Pinto retired in 1944, and the family moved to 12 Rest House Road, a house belonging to Ethel D'Souza ( sister of Fr. Cyril Browne ) which they bought. The Pinto's named the house "Villa Maria". The children when they stayed at Minerva Mills attended School at Good Shepherd Convent, they daily trip was by horse-carriage, later by car. 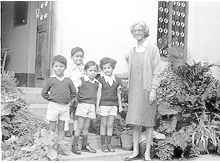 The eldest son of William was Francis, who was born on 18th December 1910, at Goa. He did his primary studies at Goa with Portuguese, Konkani and English. He then entered the Std. VII of St. Joseph's European High School (today known as St. Joseph's Boys' High School) around 1924, and studied till the Std. X under Fr. Vampeene. After High School he did a three year course in Dentistry under the guidance of Dr. Santuz Vas (who is the Grand Uncle of Mr. George DaCosta, one of Bangalore's most respected Advocates). The Clinic of Dr. Santos was on top of the Mysore Arts and Craft building. Dr. Francis as he was then known as, obtained his Certificate and started practicing at 29 Quadrant Road near Nathan Chemist. He continued for 30 years till he retired, helping those who needed relief, for a pittance. Dr. Francis was an active Legionary of St. Mary's Church (Basilica). 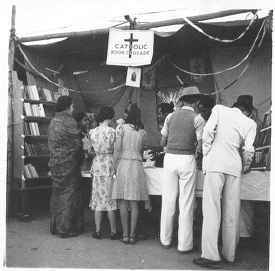 Dr. Francis organised the CTS Book Barrow, first from the garage at home, later on near Bangalore Pharmacy on M.G. Road (South Parade) next to Sadwahnis. He was assisted by the Late Mr. Luke D'Souza, Late Mario DaCosta, Martin Rosario (brother of Sr. Rita Rosario) and the young Altar boys of the Parish of which Fr. Hedwog DaCosta was one of them. After retiring from practice, Dr. Francis used his gift of making molds for dentures to make plaques of plaster of Paris of religious figures. These molds came from Rome,. and this art was conducted from the Family house for over ten years. His gentle way always kept him in the background. He also had a great sense of homour and his memory always razor sharp. Dr. Francis passed away peacefully at home with his Rosary round his neck on 12th April, 1996. 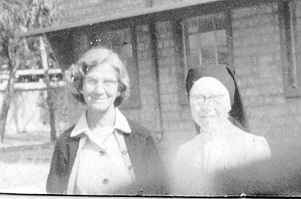 Bernie (Bernadette) who was born on 2nd February 1919 (Candle Mass Day), Carmel and Christine (Lourdes) finished their studies at the Good Shepherd Convent. After completing her High School in 1939, Bernie did 2 years Teacher's Training study at the Sacred Heart's Training College, and a further 2 years "Supervised" practice at the Good Shepherd Convent. Mr. Thomas, Examiner of the Trainees gave her a Certificate. Bernie remembers with great admiration her mentor and Principal Sr. Emmanuel ( a Scottish nun of the Good Shepherd Congregation), whose words for all Teacher Trainees still ring in her memory - P-L-P which stood for Pray, Love and Practice! Equipped with this Certificate in her hand Bernie taught at the Army Officers School, then later in Sacred Heart's Girl School under (the Late) Sr.James, and finally joined St. Anthony's Boys' School (today called St. Anthony's Primary School) which was attached to the Convent. Bernie was a Parishioner of St. Patrick's Church since 1948. She has many fond memories of her "little" boys, some have even become Grandfathers, and whose grand children are in St. Anthony's or have passed through! They come and visit her when they come into Bangalore. Bernie and Francis used to be very prominent at St. Patrick's Church for Mass, where they met many an old student before or after Mass. Bernie still keeps up this tradition of meeting with people on Sunday mornings. St.Anthony's had "A", "B", "C" Classes and 1st Standard only. From the 2nd Standard, the boys had to go to St. Joseph's European School. The School strength was around 80 boys. There were 4 Teachers - Bernie, Thelma Mathews (Mortose), Sr. Mechtild and Sr. Veronica. The School had no grounds or hall. Sports was conducted by running diagonally across the School compound or around it. It was years later when most of us passed through the portals, Brig. Somana did help the School get the ground (which was a vegetable garden of the Convent ) leveled out into a beautiful playground which one can see today. Mrs. Jean Murphy (Morris) also joined the School as a Teacher, today she is settled in Canada along with her son Glen and daughter Peggy. Sr. Mechtild was very strict and a disciplinarian. Some of us boys had the pleasure of wearing Dunce Caps while standing on benches as punishment. A few others had the privilege of wearing "Tongues" (nothing to do with the "Tongues of Fire" that the Charismats refer to!) Red for "little" white lies, and Black for little more than little white lies!! A group of old boys below .. spot them .. Dr. Frank daCosta, Arnold Pinto, Melville Rego, Dr. Hedwig daCosta, Jeff D'Lemos, Bruno daCosta to name a few ( taken from what Bernie wrote behind the photo)! The School building was a Bungalow that belonged to the Convent. This was demolished under the time of Sr. Monica, and with the help of the School Improvement Committee, and funds raised by the Premier Show of "Fiddler on the Roof", Fetes and other Raffles, was rebuilt with spacious modern classrooms. The building has a Ground Floor and First Floor. 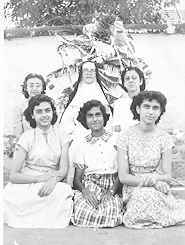 Bernie's sister Sr. Carmel (born on 8th August, 1925) joined the (Mdme) Sacred Heart Nuns at Sophia College in Bombay. 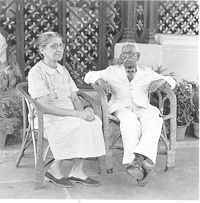 She had come to Bangalore when Sr. Anderson got down the staff for Sophia High School, Bangalore from Bombay (Mumbai)., and was present when the handing over to Sr. Vaune of the Notre Dame Nuns from Mysore were called to take over the School. Earlier Sr. Carmel was sent to France to study French, later she took her final vows after joining the Order in England. This Order allows the Sisters to keep their own names. Sr. Carmel played the Organ for the She died on 16th August 1994 of cancer. Bernie's other sister Sr.Christine (born on 19th July, 1929) studied for 2 years at St. Joseph's College. 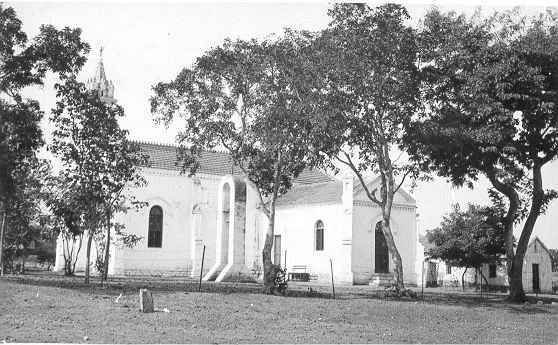 She then joined the Good Shepherd Order at Bangalore, where she was a Novice, as this was the Provincial House. She became the Superior for sometime. She opted for the Missions of Kenya and has been there for the last 15 years, taking care of under privileged girls and women in distress. Bernie's brother Arnold who was born on 24th August, 1914 at Goa studied at St. Mary's in Bombay. He later joined St. Joseph's E.H. School, after the War and managed the Choir with Fr. Biscario and others. Fr. 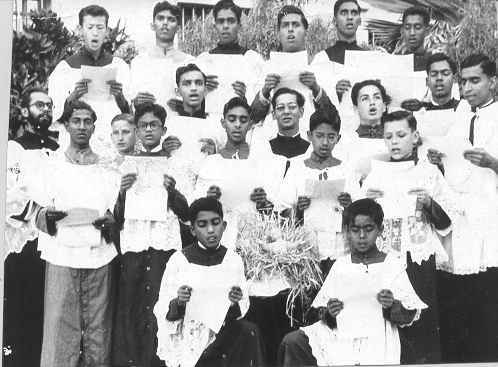 Bobby Colasco ( who was connected with the Young Christian Workers & Catholic Univeersity Students at Loyola College, Madras) was also in that Choir. Bernie along with her late brother Dr. Francis, and sister Sr. Christine have donated their Family Home "Villa Maria" to Maria Seva Sangha for a Project of setting up an Old Age Home for the lower middle class. The property on Rest House Road measures over 16,000sq. ft., and has a market value of Rupees 1,51,33,500 , about a Crore and half!! Bernie passed away after a short illness on 19th August 1997. Please tell all the Old Students of St. Antonys and St. Joseph's School about this. A wreath was laid on behalf of the Old Boys of both Institutions. Thanks Ronnie.